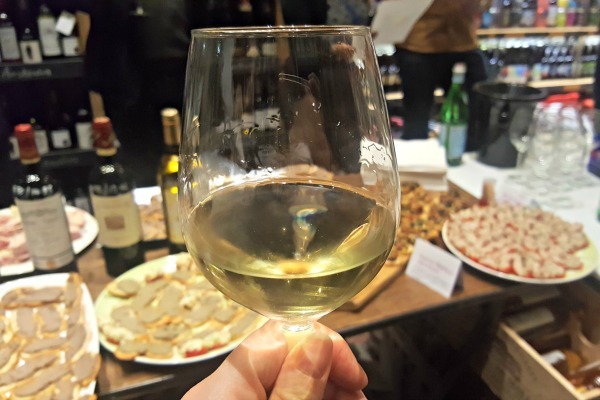 A fantastic wine tasting evening! I don’t think I know anyone that doesn’t like a wine tasting. They usually start off civilised, quiet and attentive, and as the third wine goes down they usually start to get a little wild and fun. 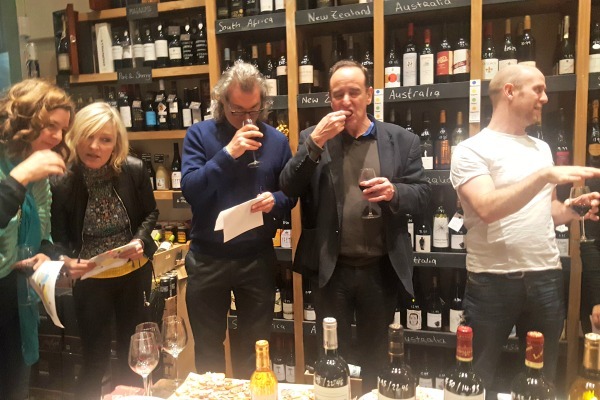 Some are informative, some are more just ‘wine drinking’ and there are some that are perfectly in between, giving you a new found knowledge and a new favourite wine. I should know, I have attended a few! Seven Cellars is an independent, lovely wine merchant and tap room that specialises in unique and tasteful wines ordered especially in for you to try something different. 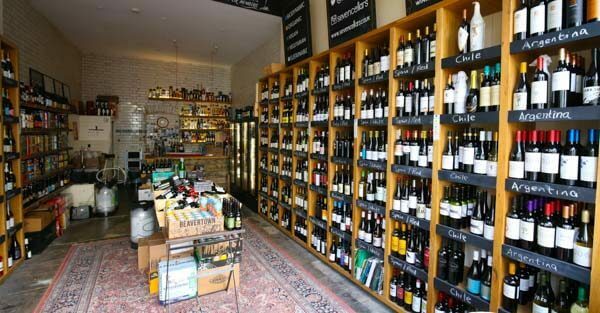 The walls are carefully stacked with affordable wines from all different regions throughout Europe and the world, and the interior has stripped back industrial concrete floors, brick walls and homely rugs. 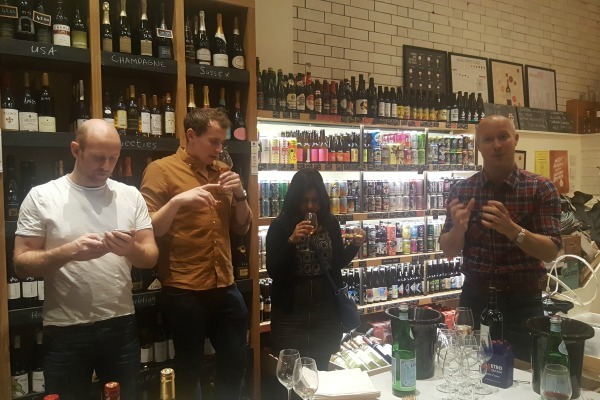 The tasting area is on the shop floor so it’s nice and intimate, but also feels like you are miles away in a tasting cellar at some underground winery in France. On arrival, we were greeted with a gorgeous glass of bubbles that was smooth and tasted of peaches and apricots and had a light fizz. This was 100% semillion grape and produced in the same way as champagne, although the taste was more like a prosecco. While we waited for the final guests to arrive we admired the pinchos style spread on the table in front of us supplied from a small local catering company friends of the owners. 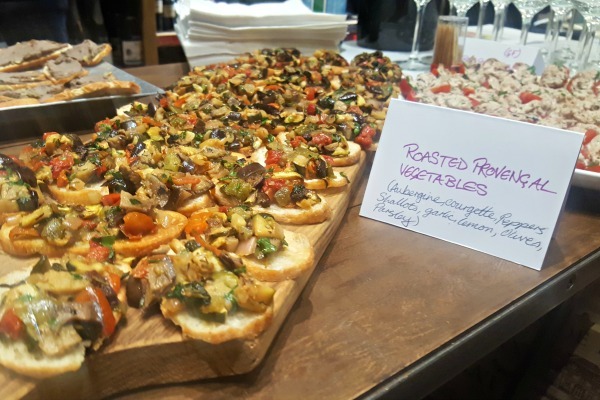 There was something for everyone, with vegetarian, vegan and gluten free options so no one would miss out. Once everyone was topped up and settled, Fraser introduced himself and we were underway. We were introduced to Louise, one of the owners, and her lovely staff which were helping for the evening. They all made everyone was topped up and comfortable throughout, and there was a really relaxing, non-pretentious atmosphere. There was also sparkling water and spittoons provided for the sensible drinkers among us. I thought I would share a few basic facts about Bordeaux wines before we start to show I really did learn something! 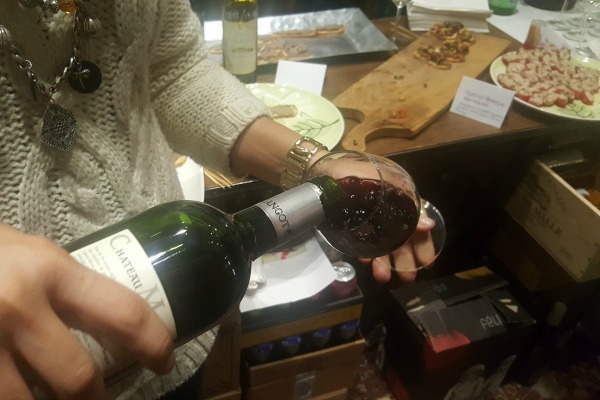 2013 was not a great year for Bordeaux wines, so keep an eye out for this year when purchasing! 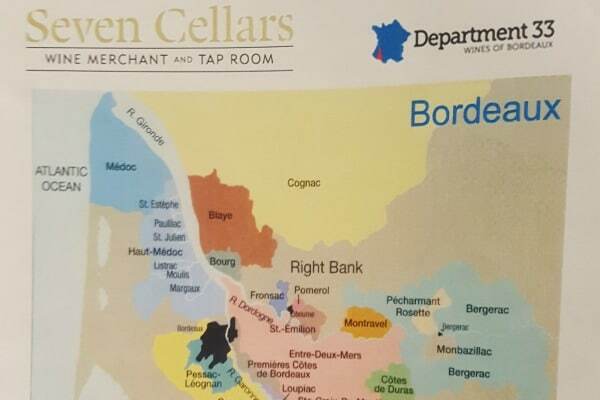 You can see most of a map of Bordeaux below and some of the areas that the wines we tried were from, and the yellow area on this map is actually where red wine originated from! I’m not going to go into too much detail of all the wines we had, as it’s better when you are drinking it yourself and the expert is telling you all about it as you go along! 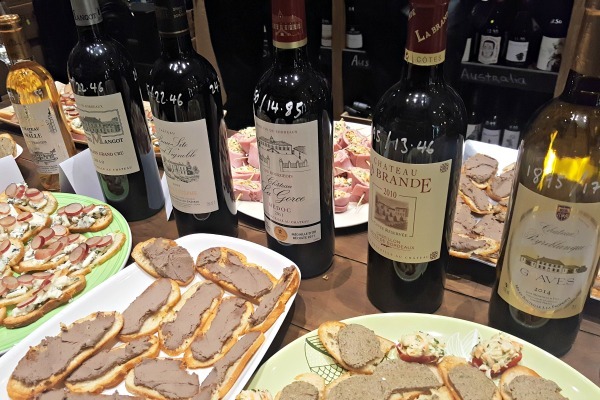 All of the wines should be available at Seven Cellars if you wish to give a Bordeaux wine a go. We had 6 different wines over the evening and Fraser encouraged us to try each wine with different foods to see the difference it made to the taste. 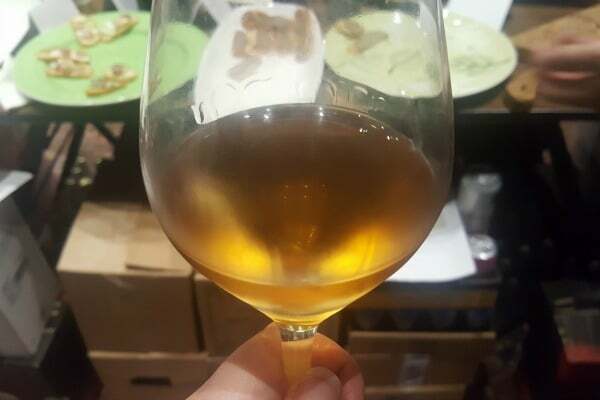 My favourite of the whites we tried was 80% muscadel, 20% sauvignon gris and tasted of grapefruit, and was lovely and buttery with a touch of oak from the 6 months aging in French wine barrels. We also had a lovely dry red only retailing for around £15 per bottle that was very good with food, it made such a difference! 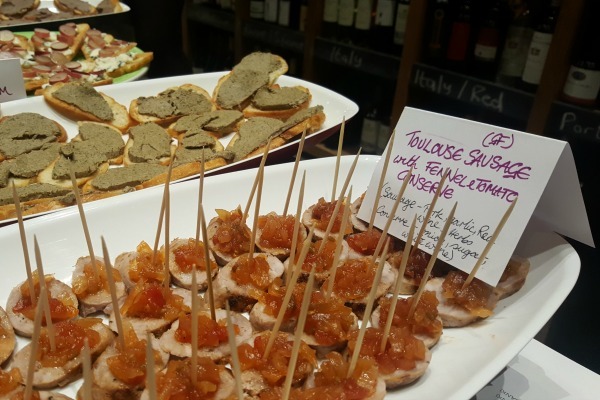 The toulouse sausage bite was particularly good with this one. 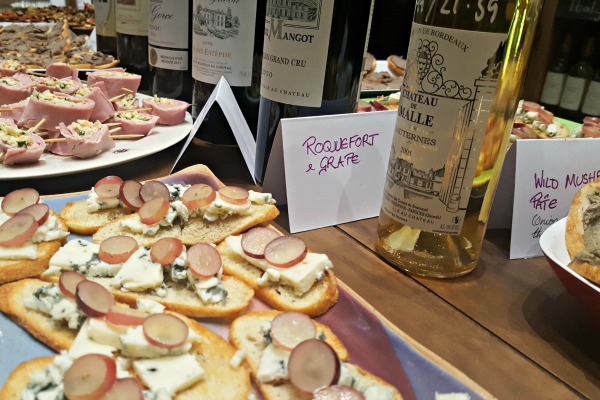 The highlight of the evening for most was the final wine – a Chateau De Malle dessert wine made with grapes that are left until the very last minute when they are ‘rotting’ and are then hand harvested! A bottle like this has a lot of work and care put into it, but you could taste it, it was like liquid gold. We were specifically asked to save the blue cheese bites until the very end as they were a match made in heaven. I could definitely see that as an end to an evening with friends. 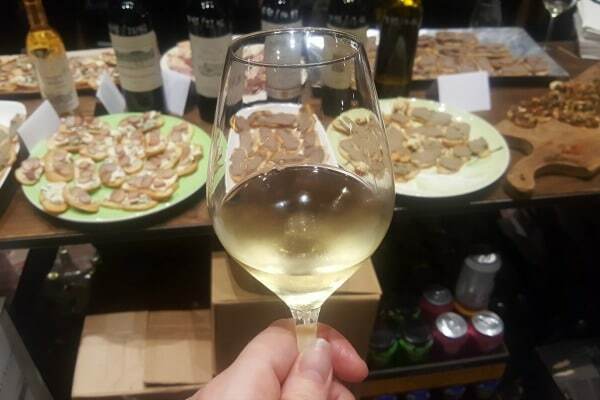 So there you have it, a very welcoming and informative evening at Seven Cellars, and I would highly recommend to anyone that likes wine tasting to book yourself onto their next one. 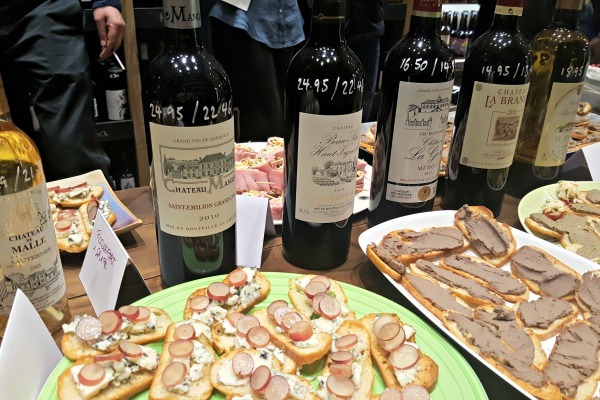 I began the evening not knowing anything about Bordeaux wines at all, and came away all inspired and knowing what side of the region I prefer my wine from! The staff at Seven Cellars were more than hospitable and extremely knowledgeable of course as well, and I thought the venue was absolutely perfect. Thanks Seven Cellars for hosting such a fantastic evening!